On July 26, 1986, a group of believers gathered at Zale Library on the campus of Bishop College adopting the name Provisional Baptist Fellowship. While worshiping at Bishop College’s Carr P. Collins Chapel, this Christian fellowship organized a church, called a pastor, and officially adopted the name, "Antioch Fellowship Missionary Baptist Church." On September 15, 1986, the young shepherd chosen and prepared by God, Reverend Karry D. Wesley, a recent graduate of Bishop College, responded to the call to leadership of these 539 charter members. A search committee of five, charged with the responsibility of finding housing for the newly organized church, diligently sought a permanent church location. This search eventually ended when the committee, led by the Holy Spirit, found the unoccupied Hillcrest Family Life Center at 7408 South Hampton Road. The church worshiped and grew at this location from December 1987 to October 2001. As an act of God’s abiding abundance, the church facility was sold to Light of the World Church as construction of the Antioch Family Life Center was underway. Paul Quinn College’s Richard Allen Chapel served as an interim worship site from October 2001 to May 2002. On Mother’s Day, May 14, 2002, Antioch moved into the current Family Life Center, an 80,000 square foot facility with a large-scale Multi-Purpose Center, office and classroom space, bookstore, chapel and fellowship atrium. 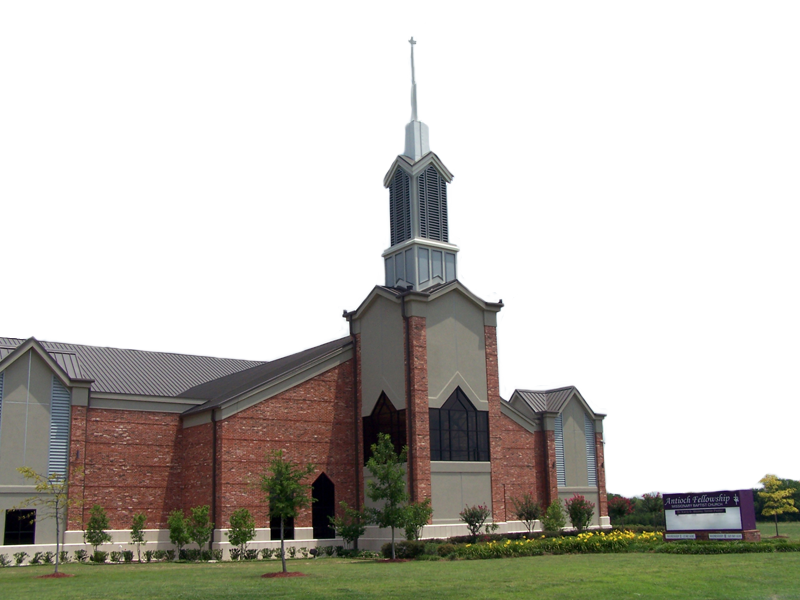 On Sunday, October 31, 2004, Antioch entered and celebrated its new 54,000 square foot Worship Center that accommodates 2,800 members.